- Our average last frost date is not here yet for many of us: The National Weather Service has this handy map of average last frost dates so you can see at a glance when that is. As you can see, south of State College average last frost date is April 21, in State College it’s May 1, but north and west of State College, it’s not until May 11. Keep in mind, that’s AVERAGE last frost date. We can get frosts around here well into May. 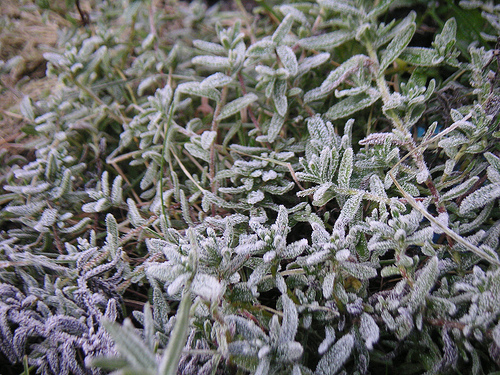 - The soil is too cold: Many frost-sensitive plants like peppers, eggplants, basil, etc. are actually tropical and do much better in warm soil. Often, being in cold soil now will actually hurt their production later. Plus, many seeds for things like pumpkins, beans, and cucumbers won’t sprout in cold soil and will rot in the ground. - Covering your plants is extra work: If you plant now, you’re likely looking at at least several evenings of having to cover your plants. Now, keep in mind this is just for cold-sensitive plants. Your frost hardy plants should be okay!